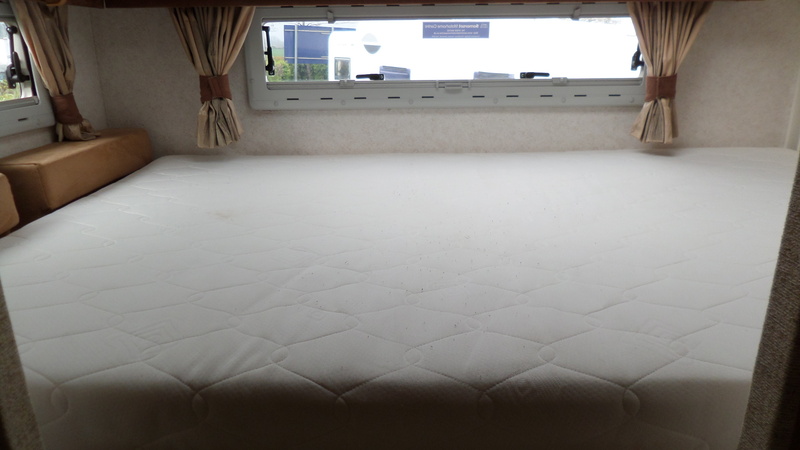 A 4 berth model with the ever popular rear fixed transverse bed over a huge garage. 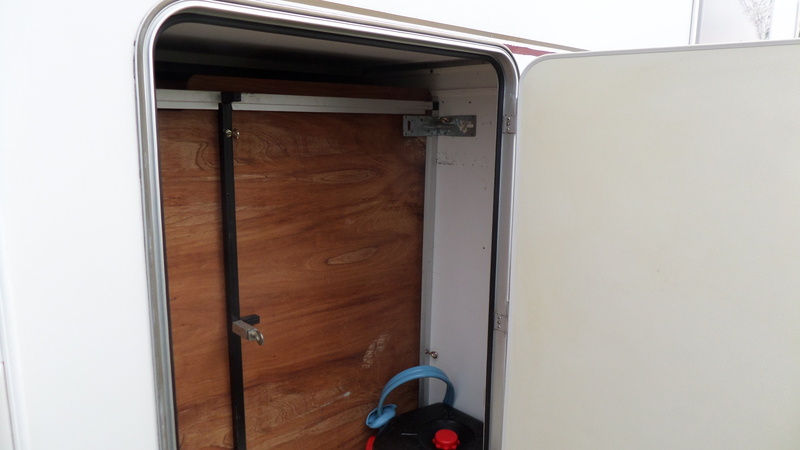 The garage is designed to carry all your essential items and very often will be used to carry bikes for the family. 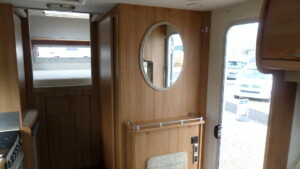 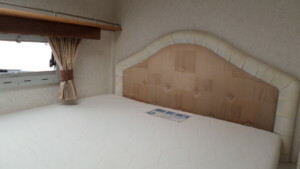 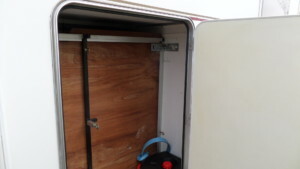 The rear bed is raised up and accessed from inside by the use of a small door just below the double bed, so no need to exit the vehicle to fetch anything you require from the garage. 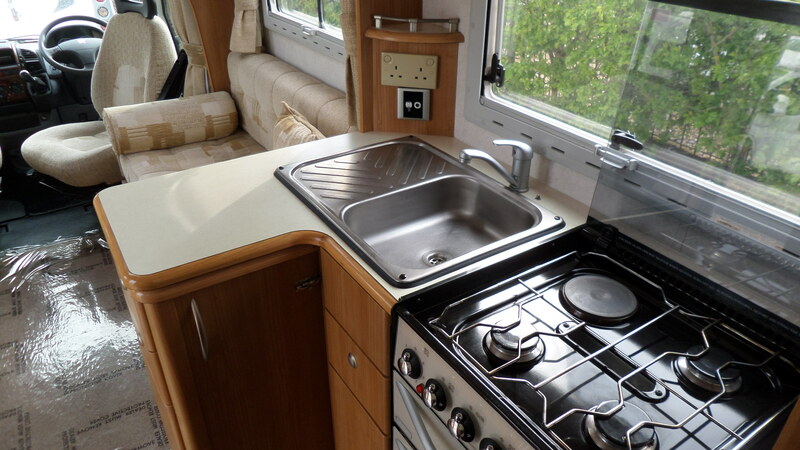 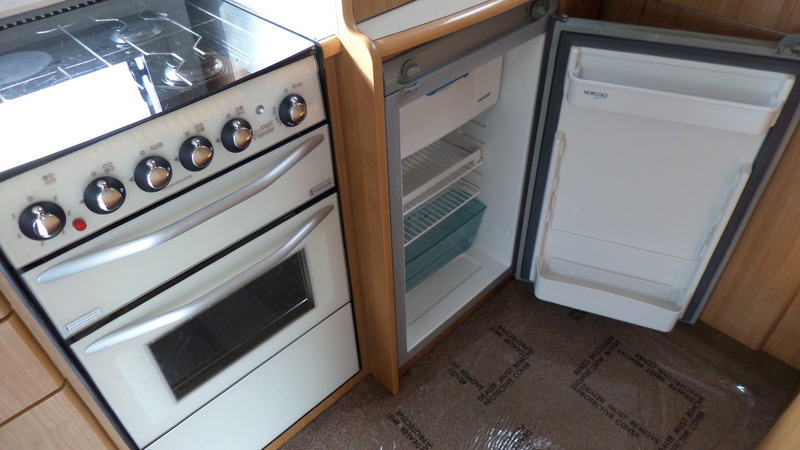 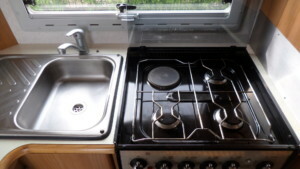 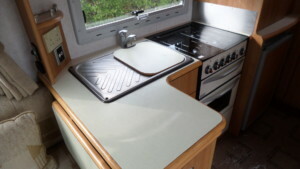 The “L” shaped mid kitchen has all you will need with 3 burner gas hob, electric hot plate, sink, fridge and full oven. 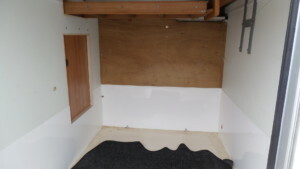 Storage is plentiful with a clever “swing-out” section. 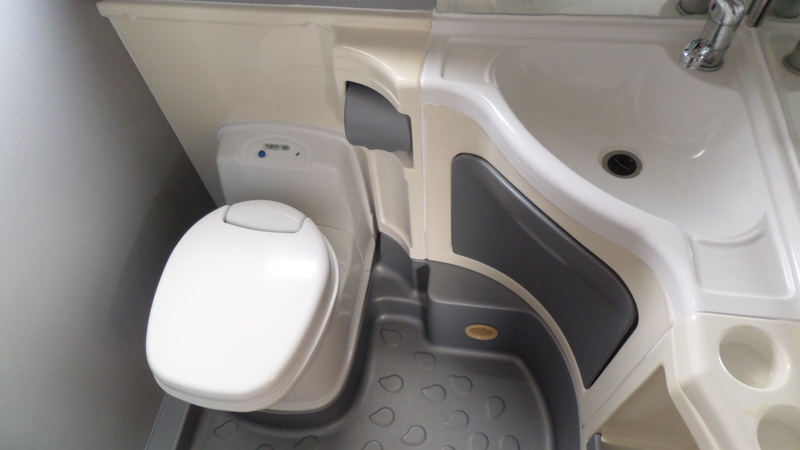 Opposite the side washroom is large enough to offer a vanity sink, toilet and shower. 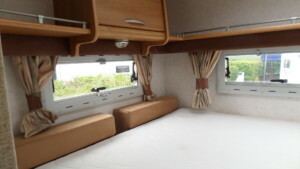 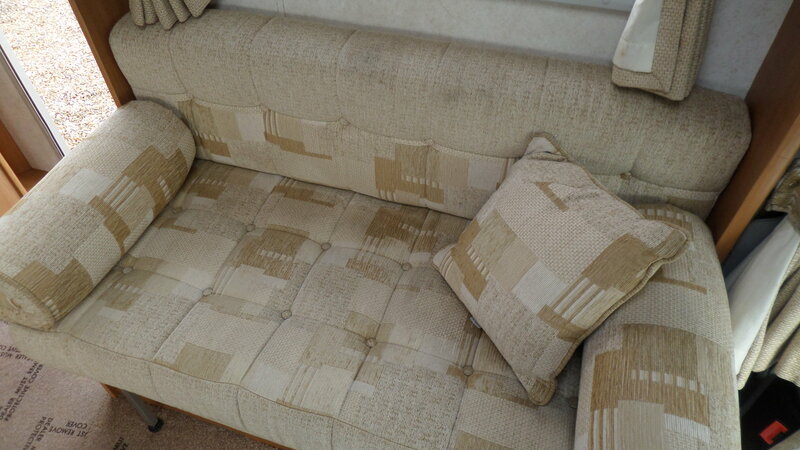 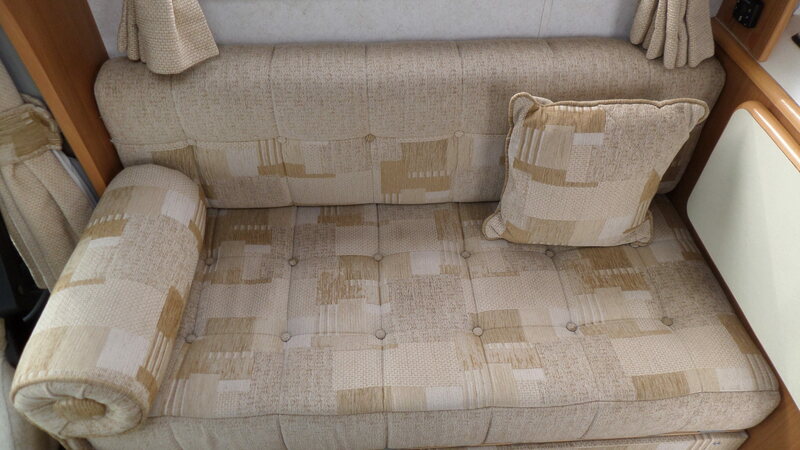 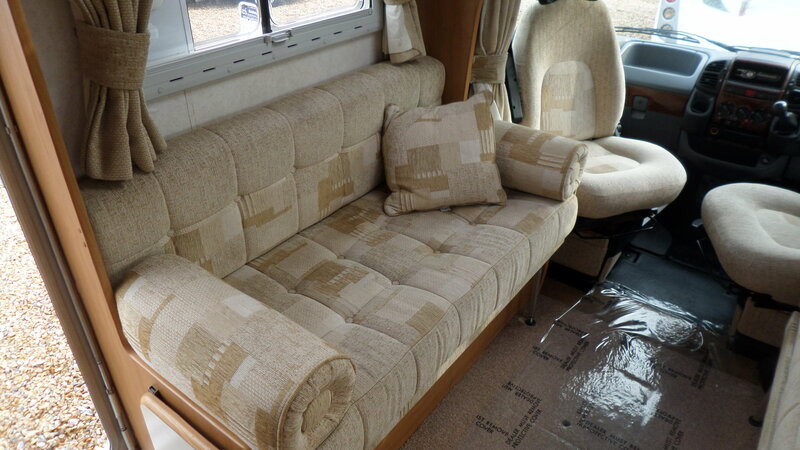 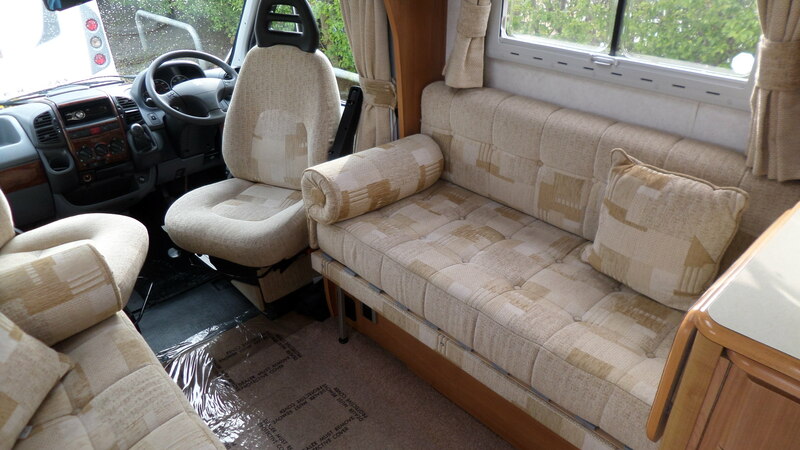 The front lounge is spacious with 2 side facing bench seats, this area converts into another double bed should you wish to take the children with you. 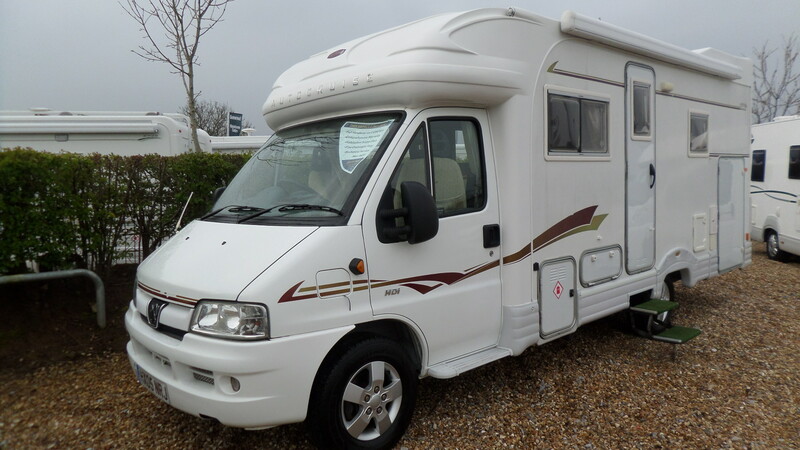 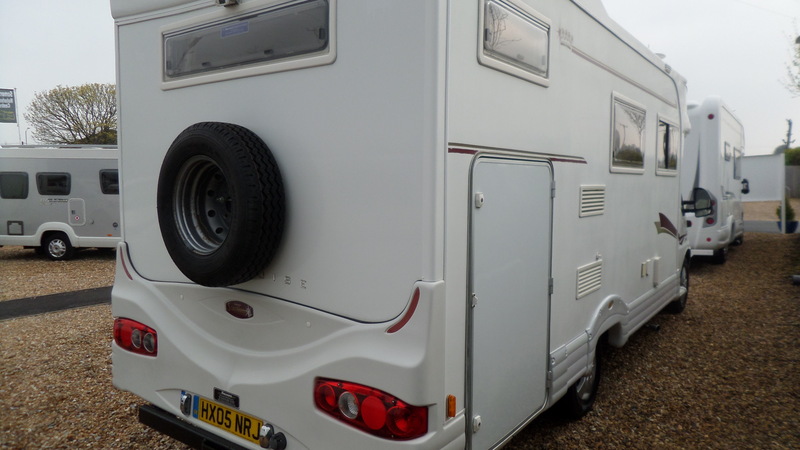 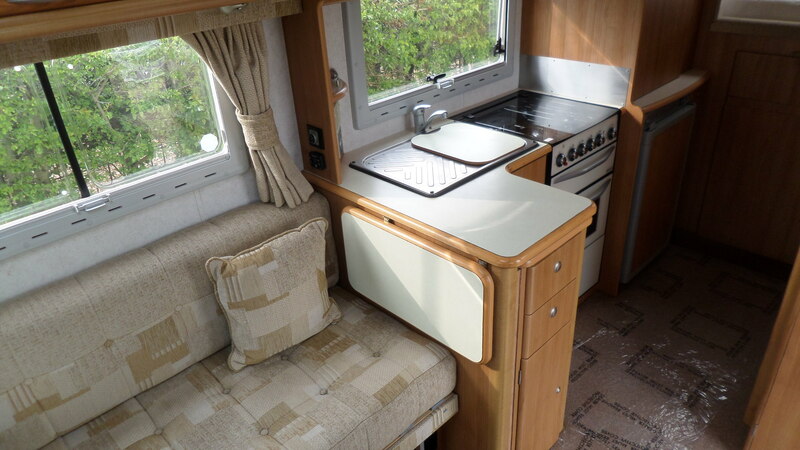 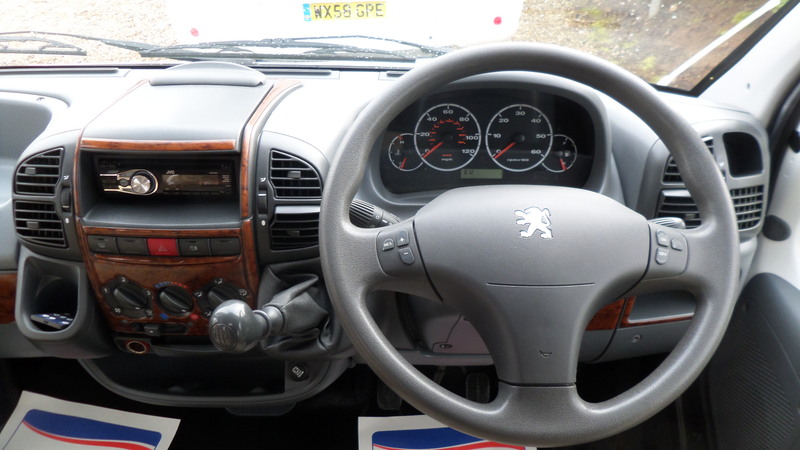 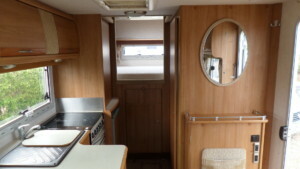 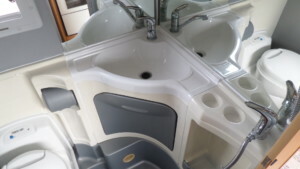 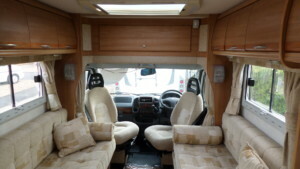 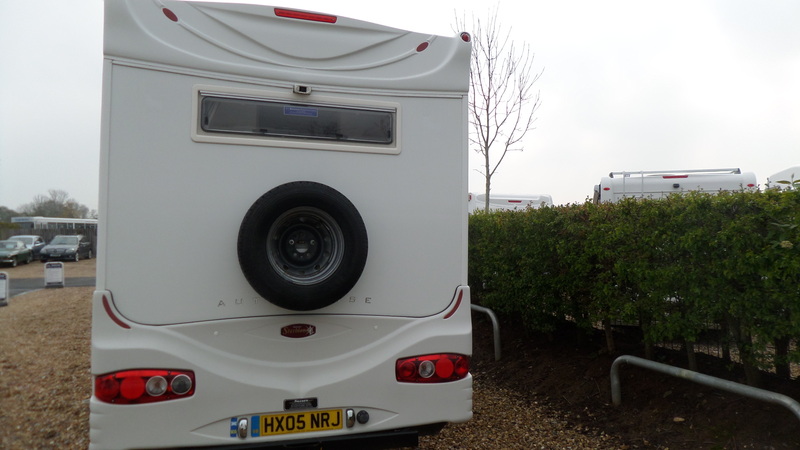 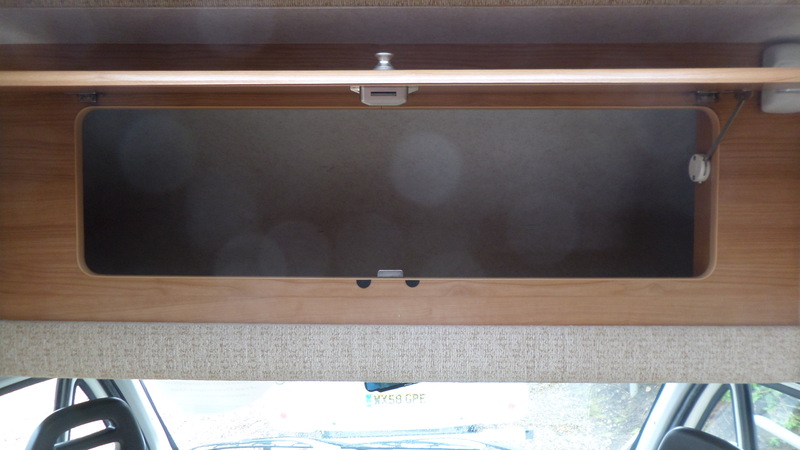 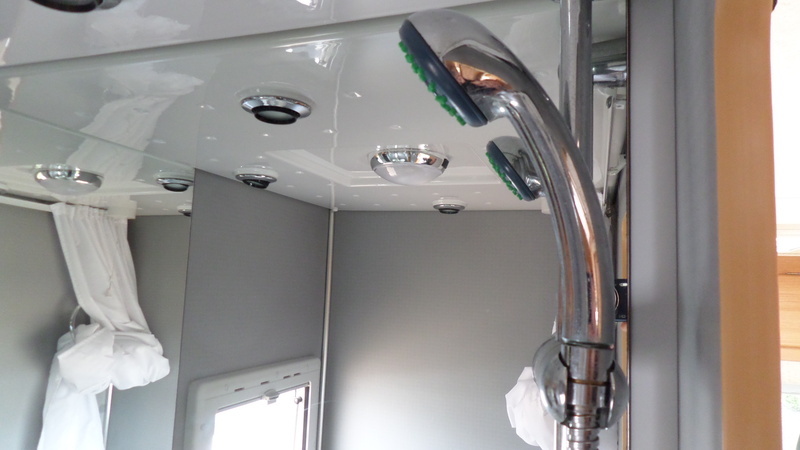 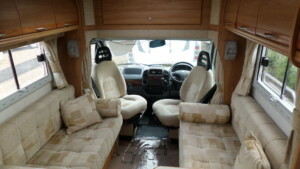 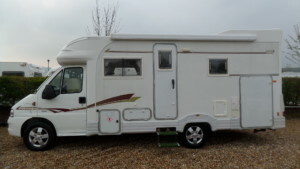 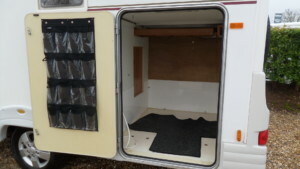 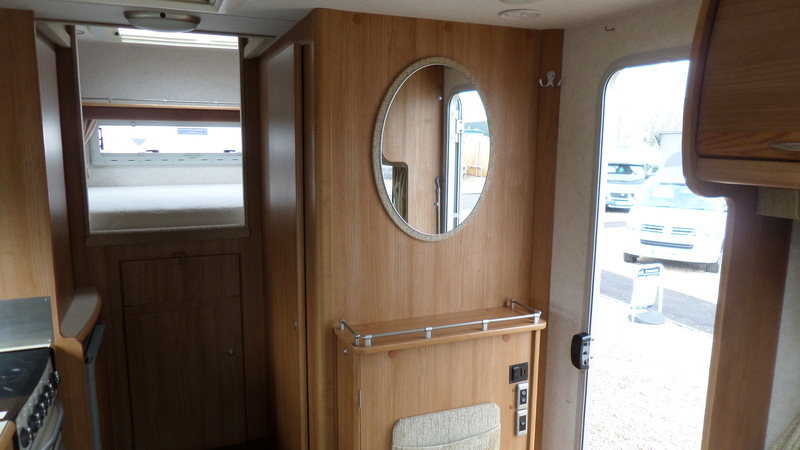 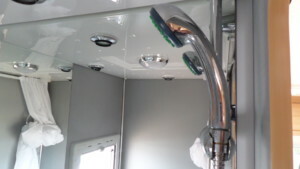 This model also benefits from the addition of several fitted extras including an awning and reversing camera.